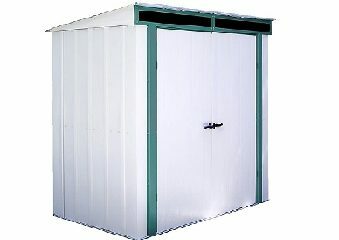 The attractive Euro-Lite Pent Metal Shed by Arrow. 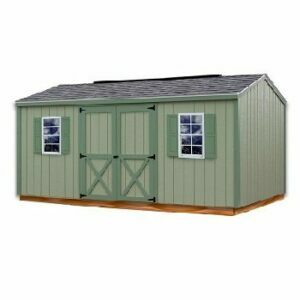 With its European design and high-quality construction, it is a tremendous value for a metal shed of this size. 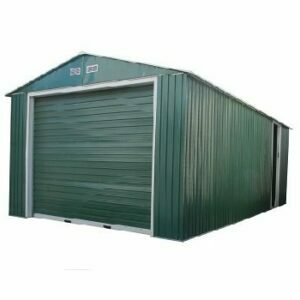 Arrow sheds use hot-dipped galvanized steel, Arrow metal buildings are much more affordable than similarly-sized custom-built buildings and are backed by a long 15 year limited warranty. 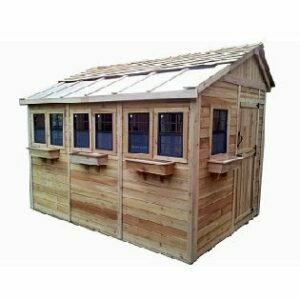 They are constructed of durable galvanized steel. 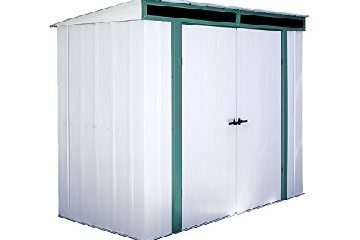 The Euro-Lite Pent features multiple light panels for ample interior lighting. 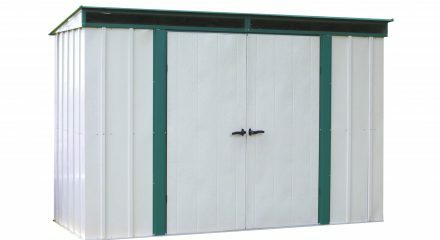 The wide, swing-out double doors allow for easy access. 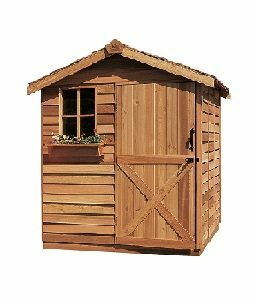 The shed is low maintenance and won’t fade, mildew, or rot over time. Simply an occasional wash with a garden hose will keep it looking new. 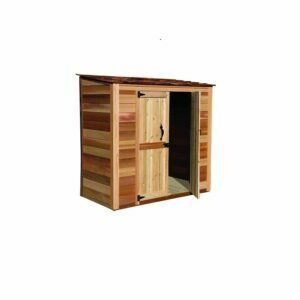 The Euro-Lite Pent is sure to provide plenty of great use for years to come.